Two weeks ago I wrote about how technology changes the brain. It’s a fascinating subject that kept me wanting to learn more. The idea that the brain is able to learn and adjust according to use offers so many possibilities! So I started researching in what other ways the brain can be adapted. A quick recap: The brain’s ability to alter its behavior based on new experiences is scientifically known as neuroplasticity. New experiences can enter the brain via external stimuli, such as the Internet and interactive technologies. These new stimuli can alter human physiology. It makes us think differently, feel differently, even dream differently. It affects our memory, attention spans and sleep cycles. However, there is also exciting positive news from the research front. If you started to fear that the brain is formed mainly through external stimuli you can relax now. In a startling piece of research conducted at Harvard Medical School researchers investigated the power of imagination. 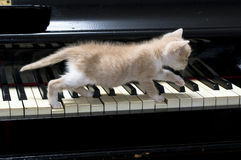 The Harvard team worked with a group of adult volunteers, none of whom could previously play the piano. They were split into three groups and put to a test. After the tests, brain scans of every test person were taken and analyzed. The researchers were interested in differences between the before – and – after situation and the differences between the three groups. The first group were taken into a room with a piano and given intensive piano practice for five days. The second group were taken into an identical room with an identical piano – but had nothing to do with the instrument at all. The third group were taken into an identical room with an identical piano and were then told that for the next five days they had to just imagine they were practicing piano exercises. The resultan t brain scans were extraordinary. Just as the researches had expected, the brains of those who simply sat in the same room as the piano (group 2) hadn’t changed at all. Equally unsurprising was the finding for group 1, test persons who had performed the piano exercises. The brain scans showed marked structural changes in the area of the brain associated with finger movement. It was group 3, the group that had merely imagined doing the piano exercises which produced truly surprising results. According to the brain scan results, the brain structure of these people had changed almost as distinctive as those in group 1, that actually did practice. The researchers concluded that apparently ‘The power of imagination’ is not a metaphor. It is real, and has a physical basis in your brain. To my knowledge neuroscientist to date cannot yet explain how the changes observed on the micro-cellular level of the brains can translate into changes in character, personality or behavior. But it is intuitive that changes in brain structure are incontrovertibly linked to our thoughts and feelings. Having found out that the power of imagination is measurable in the brain I started to think that (high) sensitive persons may have an advantage in conscious brain plasticity due to their innate ability to create intuitively. ‘(The future) may sound frighteningly Orwellian, but there may be some potential advantages to be gained from our growing understanding of the human brain’s tremendous plasticity. I don’t believe that we can somehow be made much happier – not, at least, without somehow anaesthetizing ourselves against the sadness and misery that is part and parcel of the human condition. … I do, paradoxically, see potential (of brain plasticity) in one particular direction. I think it possible that we might one day be able to harness outside stimuli in such a way that creativity – surely the ultimate expression of individuality – is actually boosted rather than diminished’. In other words, Prof. Greenfield is positive that the brain’s plasticity can be put to use in such a way that we can actively learn to select to which outside stimuli we grant access and which ones we keep out. And if we learn to do this such that our creativity will benefit from it, this will allow us to fully express our individuality in a positive way. Where’s the link to (high) sensitivity? Well, (high) sensitive persons often have the urge to find a channel for their creativity anyway. And they are often ‘forced’ to learn how to rigorously filter external stimuli anyway, on order to prevent overstimulation. So as a (high) sensitive person you may be a pioneer on the road outlined by Prof Greenfield: you ARE already doing it! Please recall that creativity is thought to be controlled by the right brain hemisphere. It so happens that the right hemisphere is also the part of the brain that (high) sensitive people use most to process information. Consequently, according to Prof Greenfield, if (high) sensitive people learn to selectively filter external stimuli they can maximize their creativity and express their true nature. This true nature of a (high) sensitive person is characterized by high levels of creativity, empathy, idealism, reflecting on the consequences of their actions and strong intuition. ‘The power of imagination’ is not a metaphor. It is real, and has a physical basis in your brain. And looking at the bigger picture: Imagine what will happen if all (high) sensitive persons express their individuality through one or more of these aspects. Then 15-20% of humankind would take a path that is distinctly differing from the one that societies all over the world are traveling on today. If (High) sensitive persons learn to more express their individuality, Prof. Greenfield’s fear of an Orwellian future would be ungrounded, and her hope for creativity boost proven right. The power of imagination’ is not a metaphor. It is real, and has a physical basis in your brain. I am so glad that the piano experiment shows the level of control that we have over our own brain! Depending on how we use it, it will serve us. It might change our feelings, the color of your dreams but it also might help us to learn to play the piano or to manifest something else that we put your mind to. Have you ever experienced a form of learning as described above? What would you like to create with the aid of your imagination? When do you start creating it? If you are looking for inspiration to develop and strengthen the power of imagination in your life, just give me a call (06-53667256) or send me an email and find out how you can use your imagination to create the life you want. Do you like this article? Be sure to read: “6 positive effects that (high) sensitive pet owners benefit from’. Online March 15st.